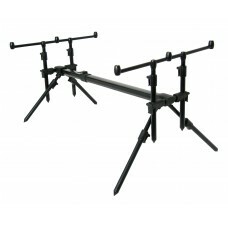 Rovex Rod Pods offer excellent support for anglers looking for rock solid rod support when fishing. Rovex Rod Pods Aluminium Rod Pods are designed to last and offer even greater value for money. Rovex Rod Pods come supplied with adjustable legs and frame to offer many options for rod angles and support, three rod buzz bars, and a carry bag for transport and storage. This is a complete package designed for anglers on the move and those who want to stay firmly in one place. 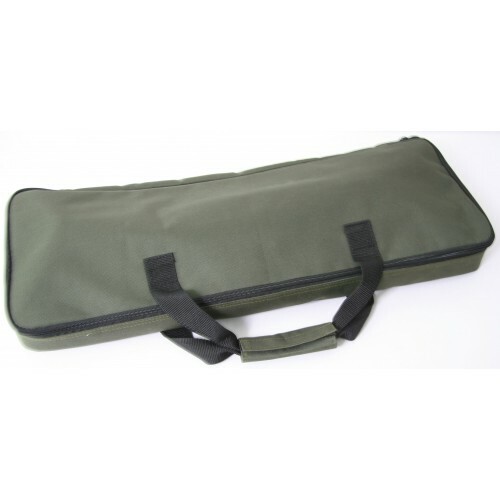 Rovex Rod Pods are extremely popular with Carp and specimen fishermen. On concrete and rocky banks the Rovex Rod Pod is a wonderful thing. The Rovex Aluminium Rod Pod has been designed to look like stainless steel models that cost many times more on the market. The advantage of the aluminium design is not only cost saving. Rovex Aluminium Rod Pod have the extra advantage of reduced weight. There’s just nothing to carrying a Rovex Aluminium Rod Pod for those who fish distant swims in search of big fish but still want to look great on the bank.